Eduard Korat is passionate about endurance racing. From running his first marathon at age 17 to finishing the Ironman Hawaii 6 times, Eduard is one who doesn’t shy away from putting foot to pavement. In 2016, Eduard discovered OCR racing on TV and knew he had to try it. Since then, he’s not only tried OCR racing, he’s dominated it. 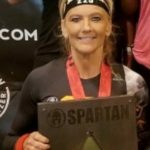 In 2018, Eduard became the Spartan North American and World Champion for men 50 and above. When he’s not at Kings Camps and Fitness, you can find him running in Rancho San Antonio, the rolling hills of Los Altos, or on the Los Gatos Creek Trail. Originally from Germany, Eduard lives in the South Bay with his wife, two kids, and two cats. 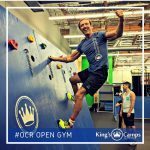 If you’re looking for and are up for a challenge, he invites you to join him at King’s Camps OCR Open Gyms where you will find him training sandbell in hand as he completes one of SGX-coach Mike’s challenging workouts.